Early morning, a little rain hiding most of the light. 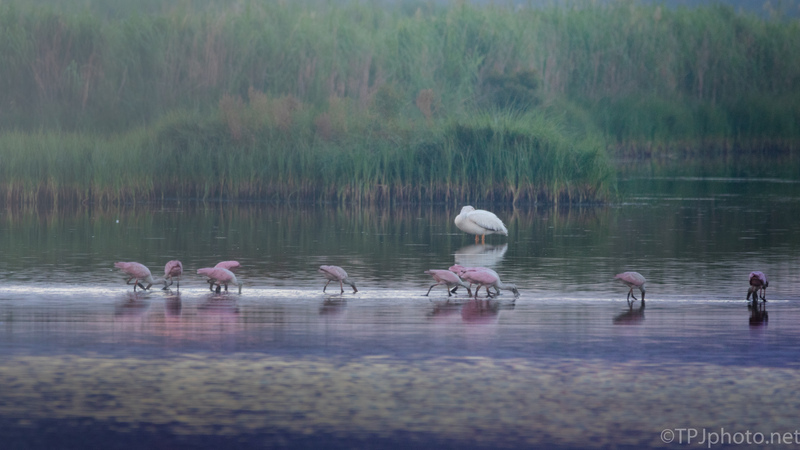 Spoonbills feeding and working around a White Pelican. The mist and colour produce a beautiful effect. Thanks. When you arrive in the marshes at day break the photography is hit or miss. It’s work to get out there so we will take shots that really should be skipped. Sometimes they work out.